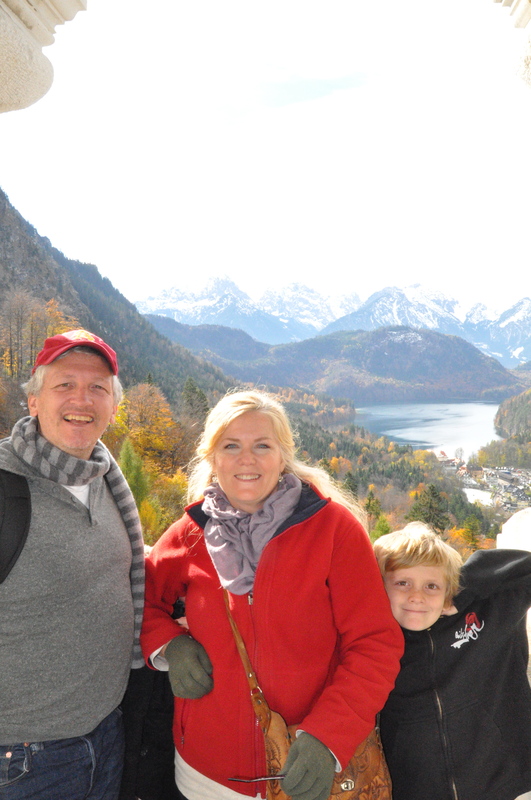 On our last day of our vacation, coming home from Salzburg, Austria, we stopped at the Neuschwanstein Castle in Germany. This is the castle that the Disney castles were inspired by. It sits all alone up against a beautiful mountain. 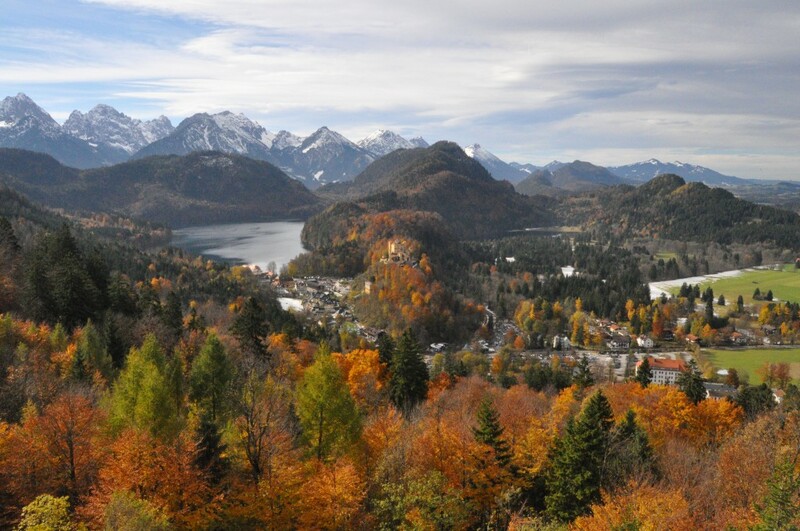 The country is absolutely beautiful, a postcard picture everywhere you turn. King Ludwig had plans for 4 beautiful castles but all the construction on his castles stopped when he died mysteriously at 40. 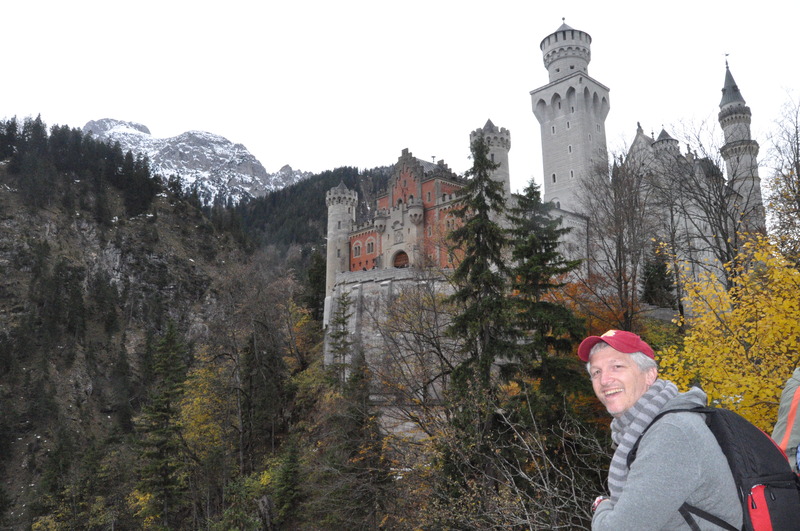 This castle is still incomplete as Ludwig imagined it, but what he did build was palatial. The fabrics, the paintings, the furniture, everything was unbelievable. 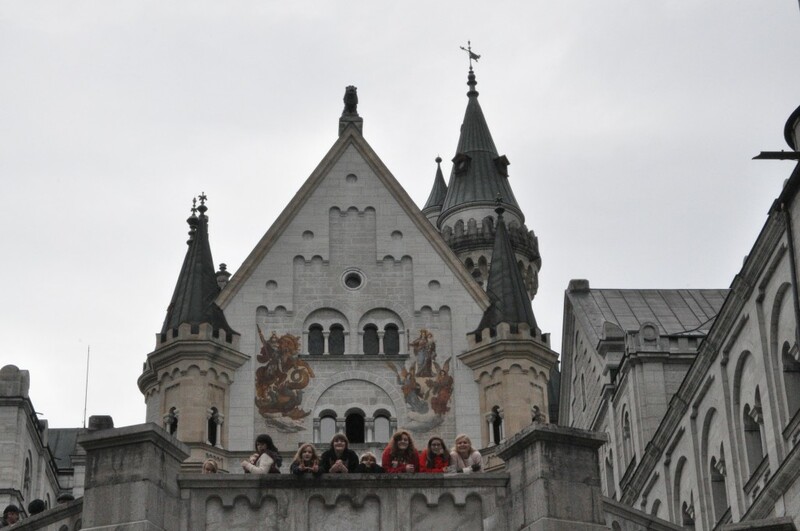 The name of the castle “Neuschwanstein” means new place of the Swan(I think). Anyway, the Swan was painted everywhere in the castle and there was even a Chandelier that had beautiful gold leaf swans. Ludwig was nicknames the “Swan King”. 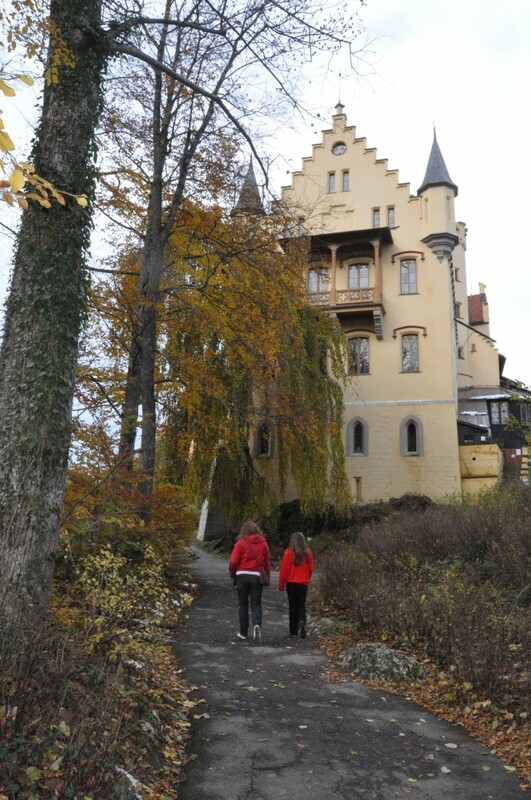 We had to hike up to the castle, it took over a half hour. My kids were not happy about that but it was worth it in the end. 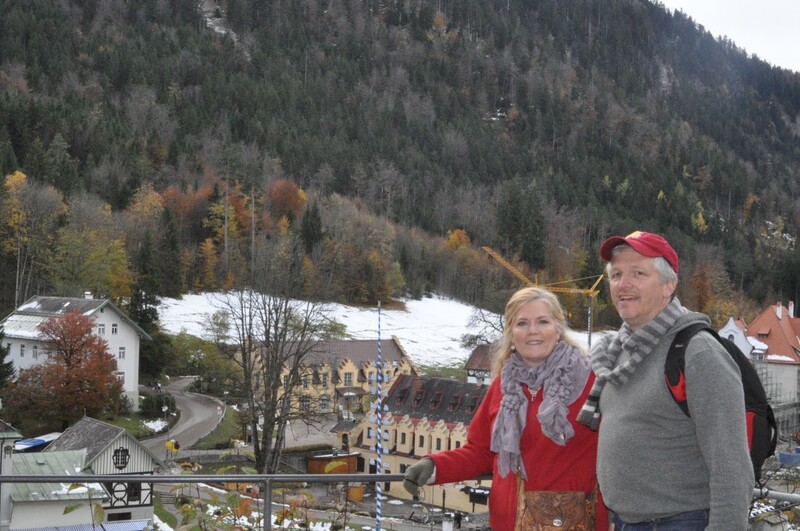 I have more pictures to show of our trip to Austria but all the pictures are on Kurt’s computer so that will be next entry. We had a fabulous vacation in Austria but we were happy to get back to France and have their wonderful french bread again. The bread in Austria and Germany is just not as good as it is in France. We are standing where a chapel was supposed to be built and it would have enclosed the courtyard! We are waiting for our tour to begin. 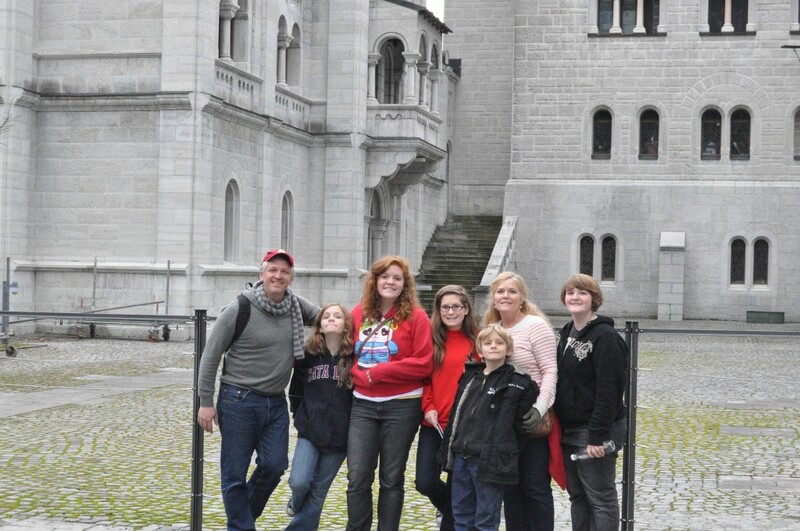 This picture was taken just after you enter the red doors of the castle and look up. The Chapel was to be built where the kids are standing up above. Everywhere we looked it was a beautiful! 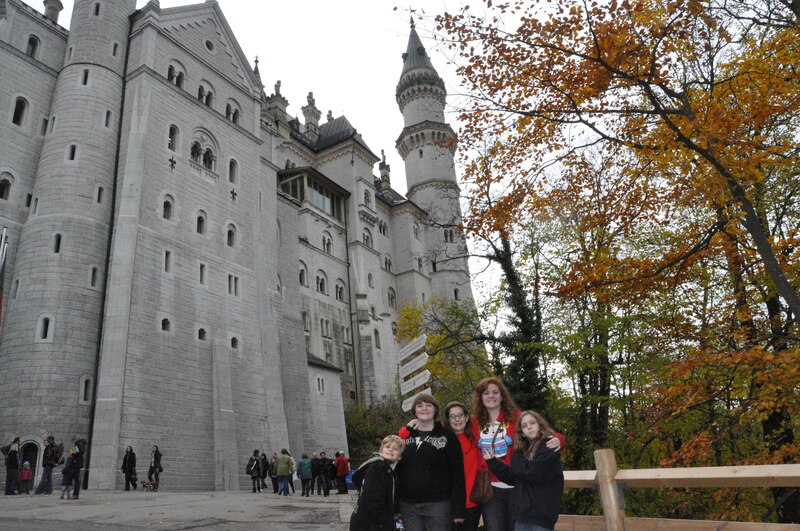 We also took a tour of this castle. 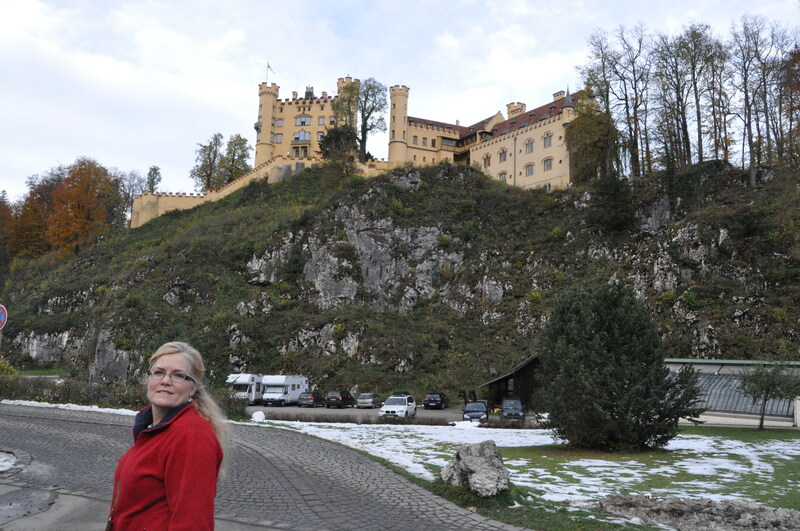 Ludwig grew up in this castle. It was also beautiful. There were paintings all over the walls depicting stories of the middle ages. Just beautiful.